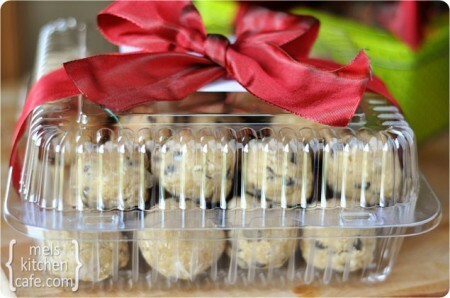 I love this idea that I found on Pinterest: a gift-wrapped box of frozen, uncooked cookie dough. What a great gift where the recipient can bake cookies whenever they want some homemade goodness. This would be perfect for a new mother, someone who has moved house, or anyone recovering from surgery.